Prof Richard Koeck gives talk at Movimenta Forum in Nice. MOVIMENTA is a public haven dedicated to the moving image. For all those who build their artistic, critical and technical endeavors around images in motion. Aimed at bridging between the technicians, artists, professionals, thinkers and their potential audiences. 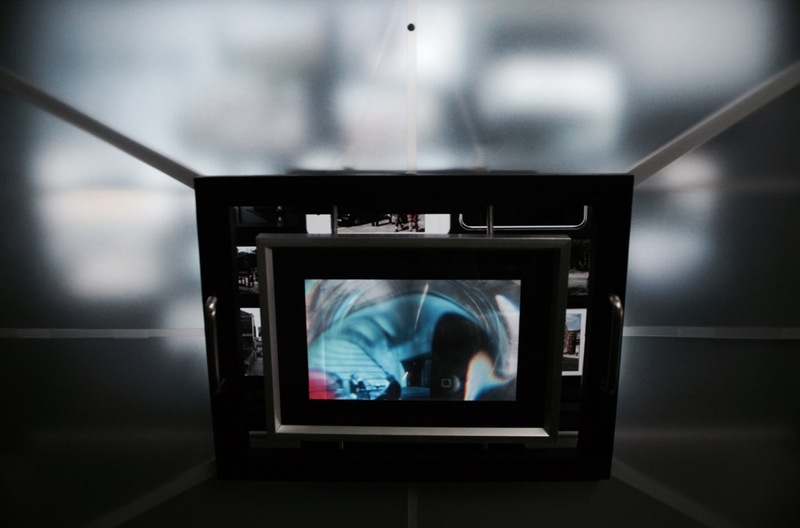 Pledged to encompass every audiovisual manifestation of contemporary art and modern technology. Designed to produce public programs with the purpose of shaping situations around dialogue and creation. The Festival Biennal MOVIMENTA will open in October 2017. In what way does the proliferation of screens influence our relationship with the moving image? How does this manifest in the art field, from a product perspective and in the realm of technology? Isn’t it time to take a moment and explore the possibility of associating screen attributes with content types? MOVIMENTA is organizing a discussion to delve deeper into these questions; by inviting different artists to showcase works echoing these notions; and reuniting the concerned stakeholders to converse amongst themselves: entrepreneurs, artists, curators, engineers, scientists, product designers, art critics, architects, sociologists, urban planners, set designers, graphic designers, web designers and more. Prof Richard Koeck gives workshop on "The City and the Moving Image" at COOP Design programme. 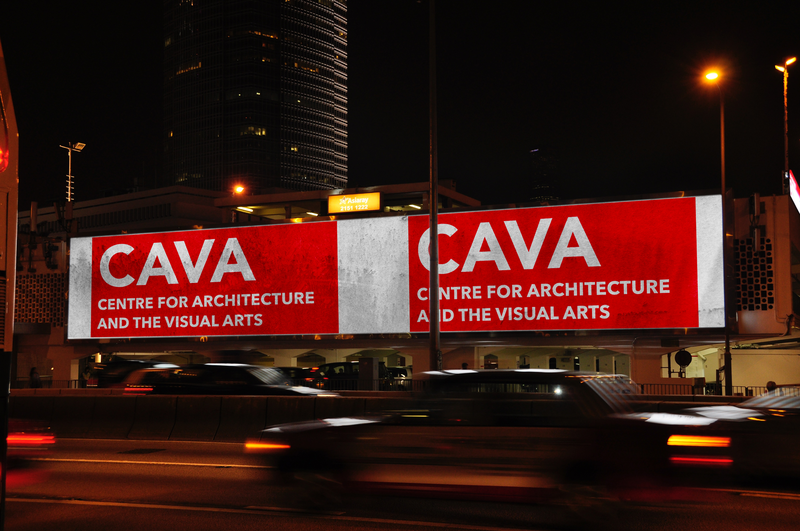 CAVA and COOP Design Research have been collaborating for a number of years. 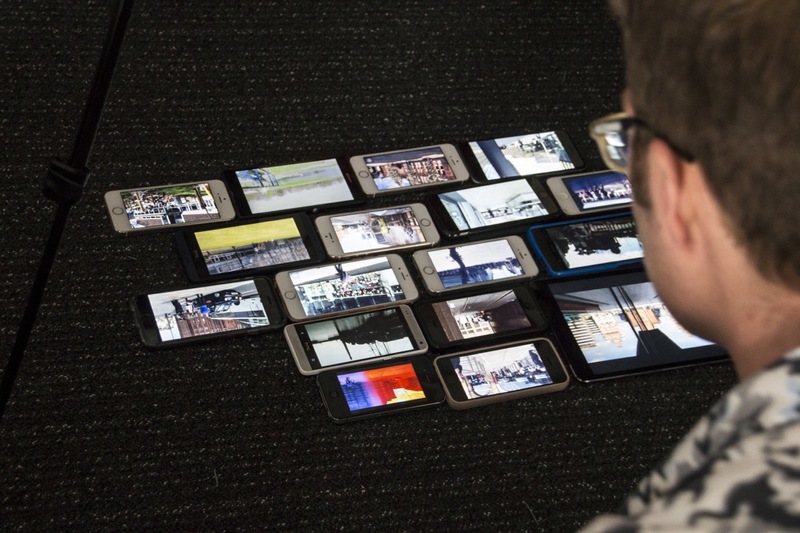 This year's workshop delivered by Richard discussed the theoretical and practical intersection of architecture and the moving image, using mobile phone technologies. 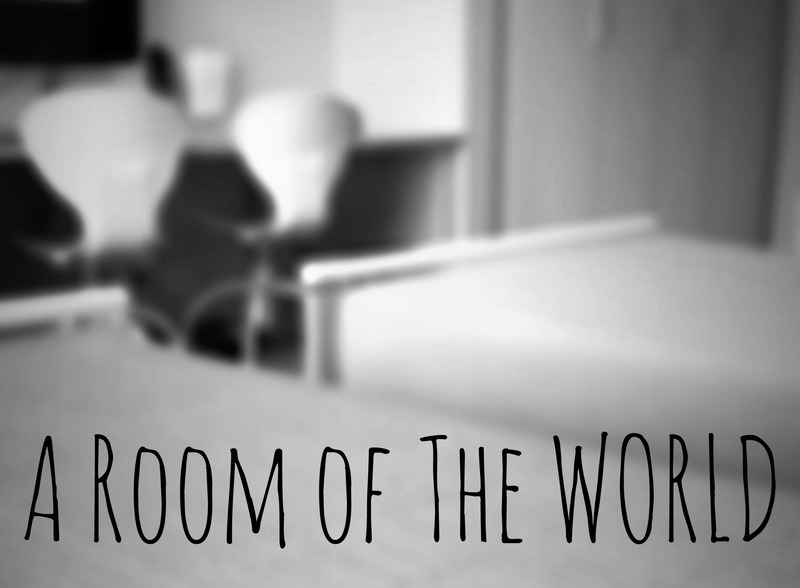 Students' produced short moving images pieces that formed part of a group discussion on narrative and space. 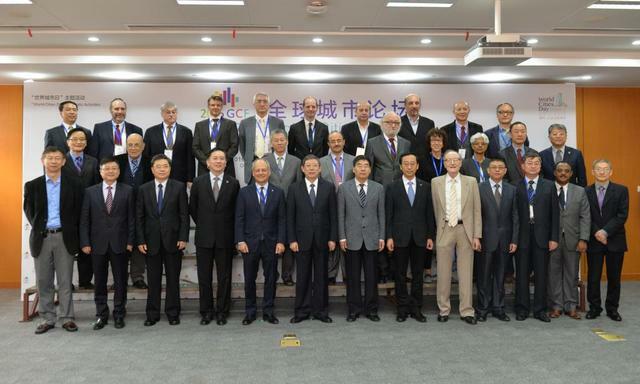 Prof Richard Koeck gives talk on "Digital Urban Heritage" at the 2016 Global Cities Forum in Shanghai organised by the Development Research Center of Shanghai Municipal People's Government, Shanghai Municipal Housing and Urban-Rural Construction Management Committee, Shanghai Jiao Tong University, UN-HABITAT and the World Bank. 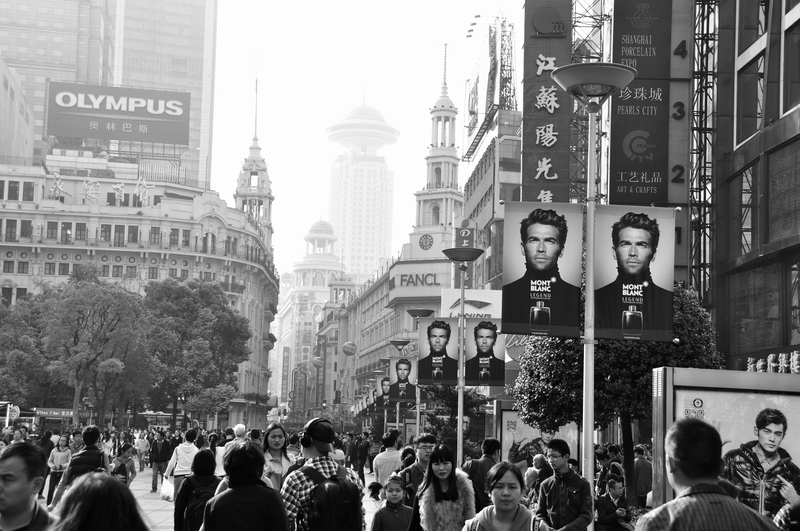 More than 200 government officials and experts from over 20 cities around the world are taking part in the World Cities Culture Forum Shanghai Symposium 2016. Experts and scholars from around the world have met with Yang Xiong, the Mayor of Shanghai Municipal People's Governance; Meric Gertler, President of University of Toronto; Zhang Junkuo, Deputy Director-General of Development Research Center of the State Council; Binyam Reja, Practice Manager of Transport & ICT Global Practice of World Ban; Xiao Guiyu, Secretary General of Shanghai Municipal People's Government; Zhang Zhenshan, UN-HABITAT Representative in China, Xiao Lin to discuss the future urban development of Chinese Cities. The forum combined the trend and practice of global cities development, taking into consideration the theme of 2016 World Cities Day, which is to "build cities together to share development". The forum addresses a wide spectrum of subjects, including economic transformation and development, urban traffic management innovation, urban ecological management innnovation, urban cultural protection and heritage. As professionals and society we are facing the pertinent question of what role design (and designers) will play in shaping the future at a time when digital economy is disrupting ways of thinking, living, working and doing business; how will this change the processes, products, methods and business of design? This event will bring together leading thinkers and practitioners from UK and European design sectors, such as automotive, industrial, fashion, architectural design, as well as design technology developers, policymakers at regional and national levels and representatives from business organisations across the design and innovation industries. There is evidence to suggest that “transdisciplinarity” will have a large impact in the near future on INDUSTRY, RESEARCH, and EDUCATION due to its already evidenced potential to: 1) drive (cross-sector) innovation 2) increase competitiveness, employability, new job prospects and resilience and 3) introduce new markets and business models. Image Credit: Aleem Yousaf via Wikimedia Commons. Reservation required: see link below. Symposium date: 24 & 25 October 2016. How can we define an image? Not an easy task, since it has a variety of meanings depending on the context in which we are operating. 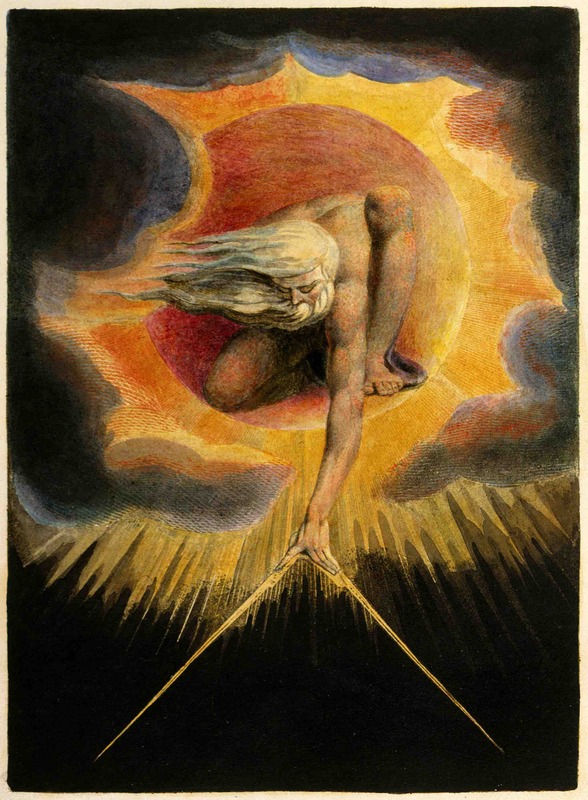 It could refer to a physical/digital representation - a drawing, a photograph, a computer-generated image - or a more subtle mental image, either reflective of the past or imaginative of the future. What is certain is that nowadays our knowledge of the built form and our creativity as architects is heavily based on images. How many buildings do we think we know due to indirect sources? Do we prioritise the image before the experience of a direct visit? Perhaps it is timely to discuss the impact of the image alongside the ‘real’ architecture itself. In an informal setting and in dialogue with experienced and imaginative guests, The Colin Rowe Lectures aim to discuss the role of the image in architecture, particularly the crucial role of architectural photography. The occasions will allow invited experts and emerging scholars/practitioners to share their thoughts. Forum convened by Marco Iuliano (University of Liverpool) and Valeria Carullo (RIBA). The lectures are a collaboration between the Centre for Architecture and Visual Arts at the University of Liverpool and the Robert Elwall Photographs Collection at the RIBA. More details: see link below. Lecture date: 08 November 2016. 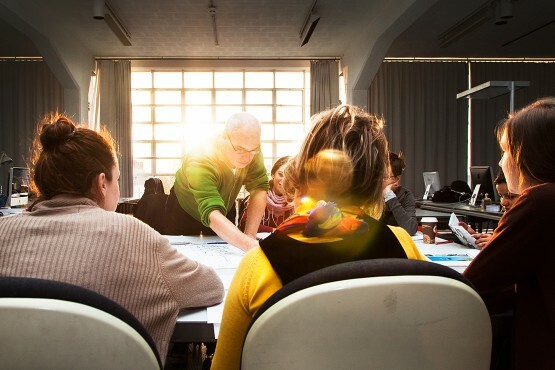 Applications are invited for a fully-funded AHRC Collaborative Doctoral Studentship to join the Centre for Architecture and the Visual Arts (CAVA) in partnership with McCann Manchester for research leading to the award of PhD at the University of Liverpool. Minimum requirements: first degree (First or Upper Second) in architecture, urban design, interaction design or related discipline, including strong interest in cities, marketing, creative/digital media and/or computational design. The Studentship is open to Home and EU student based in the UK (please see AHRC guidance). To apply, please complete the studentship applications form and submit to artshr@liverpool.ac.uk by no later than 5pm on Thursday 30 June 2016. Interviews will take place in the week commencing 11 July 2016. You should also arrange for TWO academic references to be sent independently by referees to artshr@liverpool.ac.uk by the closing date, clearly marked with your name and the name of the studentship you are applying for. Closing date: 30 June 2016. Premiering at FACT (Foundation for Art and Creative Technology), The Creative Exchange presents the new exhibition Designing Digital Now, taking a critical look at how we are shaping digital technologies and, in turn, how digital technologies are shaping us. The exhibition is showcased in the FACT Connects space between 17 - 25 June, exploring how digital resources from smartphones to Facebook have transformed what each of us can learn, make and do. CAVA's project "Open Planning" is on display in the main gallery. Part of the exhibition is a panel session reflecting on the challenge and opportunity of designing digital spaces, with contributions from academics across CX’s projects. Drawing on the experiences and learning gained from CX this panel discussion will reflect upon the opportunities and challenges presented by digital public spaces to explore ways in which we might more knowingly take action through design in a digital world. Chaired by Professor Neville Brody, Dean of the School of Communication at the Royal College of Art, and featuring contributions from Professor Richard Koeck (Liverpool University), Dr. Emma Murphy (GSA), Dr. Roberto Bottazzi (RCA) and Peter Thomas (Middlesex University). 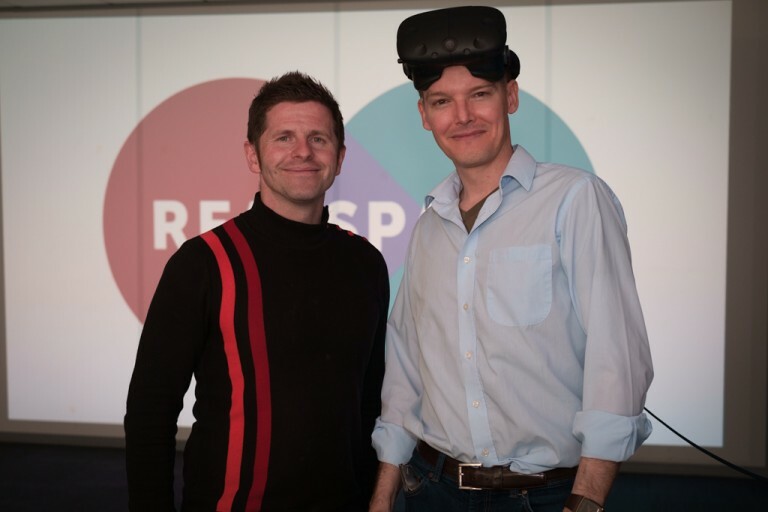 New Virtual/Augmented Lab Michael Verity (CAVA) and Robert Black have launched the VR/AR lab REALSPACE at the Liverpool Science Park. 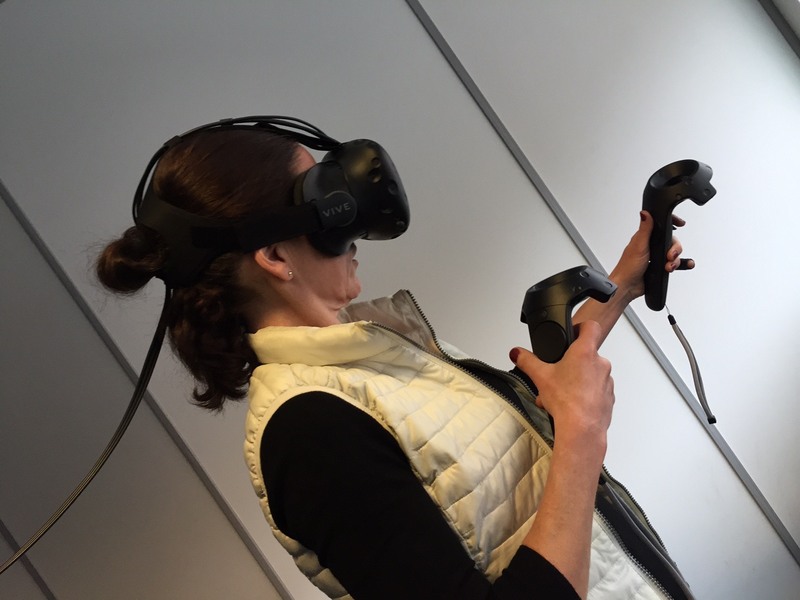 REALSPACE supports leading edge VR/AR projects with CAVA and the Virtual Engineering Centre. Set to be one the biggest growth technologies in the next decade, VR simulates an environment, real or imagined, which can be interacted with by a person wearing a head-mounted display. AR is the process of superimposing digitally rendered images onto our real-world surroundings, giving a sense of an illusion or mixed reality. CAVA Phd student Michael Verity was a founding member of the S3D Centre, a research centre specialising in stereo 3D film and VR, in Vancouver Canada. For the last five years he has been working on a multimillion-dollar project to develop a professional 3D cinema camera, called the TITAN. Recently he has started a practice-based PhD on the use of VR and AR within the new hybridised space of interactive urban advertising in collaboration with McCann Manchester and the University of Liverpool’s Virtual Engineering Centre. Monika Koeck (CineTecture Ltd.) has been commissioned to produce a two-screen installation film for the opening of a new national architecture centre of the Royal Institute of British Architects to be opened on Liverpool's waterfront. The opening show will celebrate Liverpool's long, often maverick, history of architectural ambition and its willingness to take risks and be open to transformation.. Monika is currently filming key sites in Liverpool, including the Metropolitan Cathedral, the Anglican Cathedral and the Docks and is interviewing prominent architectural practitioners, such as Ian Richie and Michael Wilford OBE. The show at RIBA North will open in August with an exhibition of designs for Liverpool that were never built, curated by Suzy Jones. Confirmed speakers: Iain Sinclair, Lauren Elkin, Robert Montgomery and Emily Berry Located on City Road, London EC1Y, Bunhill Fields is one of only ten parks in the capital to attain the status of a Grade I listed park and garden. As well as fulfilling a critical need for green space in an area of the city that is highly polluted and extremely congested, Bunhill Fields is also linked to a rich history of non-conformism, and is the final resting place of William Blake, John Bunyan, and Daniel Defoe. 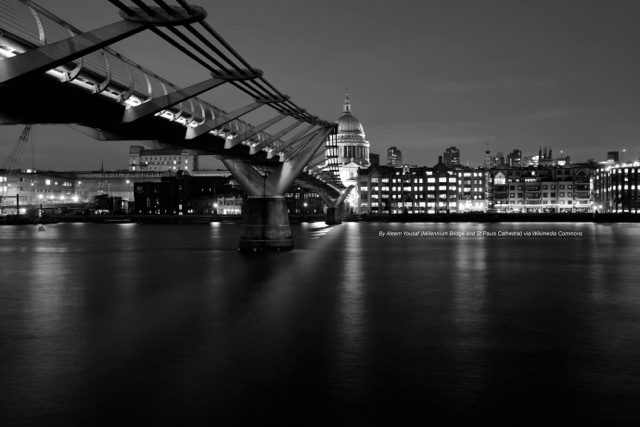 Voices of Radical London aims to bring together academics, students, alumni, and the greater community to raise awareness around, and invite discussion on important questions pertaining to cultural heritage, urban development, and the future of the capital, and to think about the dissenting roles literature and art play when intervening in these debates. Join us for an afternoon of literary walking, poetry readings, talks, and lively debate! If you are unable to attend the entire event, you are welcome to join in at any point throughout the afternoon and evening. Where: Meeting outside the Savoy Hotel on Strand at 13:45 for the walking tour of Blake's London and Bunhill Fields, and 33 Finsbury Square, EC2A 1AG from 17.15 for poetry readings, talks and a panel discussion with Iain Sinclair (see schedule below). Maps offer an intuitive and attractive medium for interaction and prospective design. 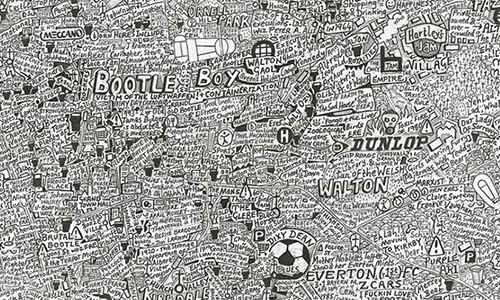 People can reveal personal stories and geographies that might be absent from official histories and maps of the city, and new visual representations and future scenarios can be created. This event aims to stimulate discussions and share the knowledge developed by artists, researchers, practitioners and local governments on exploring alternative urban cartographies. The programme is divided in four parts exploring mapping in art, research, practices and public policies. The event is for free but places are limited. 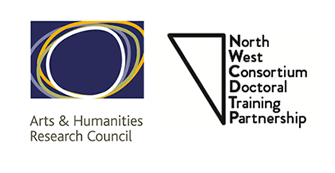 This CAVA event is funded by the North West Consortium Doctoral Training Parternship and is organised by Gloria Lanci with Marco Iuliano and Les Roberts. International Symposium organised by the Resilient Urban Ecosystem (RUE) Network. May 11, 2016, University of Liverpool London campus. The symposium will bring together some of the world-leading thinkers, practitioners and innovators within the Built Environment and Urban Informatics to explore what a "data-integrated" future might hold for the Built Environment professionals and practices. Although the potentials are vast, Architecture and Engineering practice and Construction sector (at large) are slow to adopt the data-driven approaches. In order to progress as a sector, we need to raise our capacity to "intelligently" share, capture, measure, process and translate data and convert it into meaningful and actionable information. With this symposium, we aim to raise questions and provoke a debate about "intelligent use of data" and the potentials that "data-driven innovation" holds in the AEC sector. Through presentations and discussions, the symposium aims to explore the transformational potential of embedding big-data, computation, artificial intelligence, and real-time connectivity into the conception and realization of buildings for a sustainable built habitat. The presentations from key professionals will be challenging the "business as usual" mode of thinking and bring their diverse insights and perspectives for more agile and adaptive solutions for the future, and in discovering new modes of imagining, creating and operating for a future-resilient built environment. 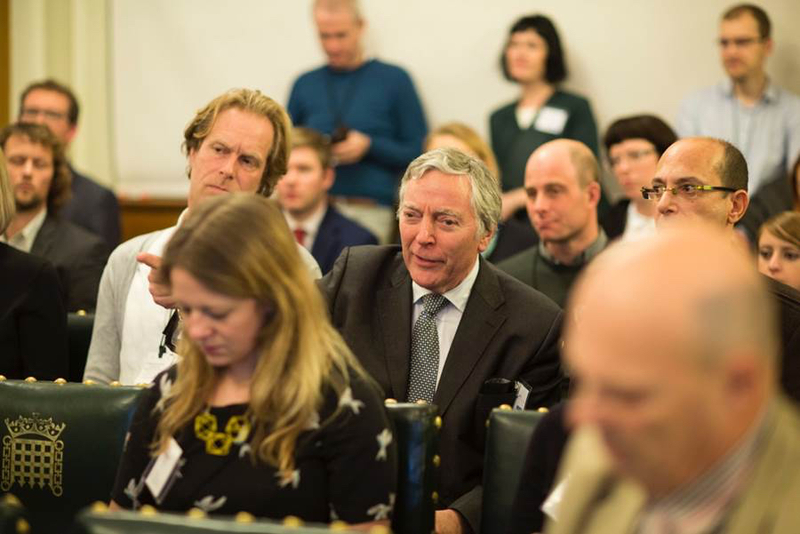 Speakers include: Martin Simpson (ARUP), Michael Batty (UCL), Ed Parsons (Google), Lars Hesselgreen (PLP Architects), David Philip (AECOM), Kimon Onuma (Onuma Systems) and Rob Snider (Tangerine). Please see the programme and website below. Monika Koeck has been commissioned by the RIBA to produce an inaugural film for a two-screen video installation as part of the opening of RIBA NORTH. The exhibition, curated by Suzy Jones, is under the theme "Liverpool: Mover, Shaker, Architectural Risk Taker"; filming has begun in April for the opening in the Summer of 2016. Liverpool’s future has always excited speculation, and architects are always ready with ideas to transform the city. Historically the city’s international vision, architectural ambition and fearless approach to city planning have attracted groundbreaking and extraordinary proposals. Some of these never progressed past the drawing board; others helped create a cityscape that is uniquely memorable. Supported by CAVA, Monika and Richard Koeck are addressing the theme through interviews with leading British architects, architectural historian Joseph Sharples and the filming of key architectural sites in Liverpool. Prof Richard Koeck gives a full day seminar in UNESCO endorsed Masters Programme in World Heritage and Cultural Projects for Development at the ITILO in Turin/Italy. The Master programme aims to impart the necessary competencies and skills to participants in the promotion of World Heritage Sites and other UNESCO designations, as well as of any cultural resource in the framework of sustainable economic development. The seminar in Turin addresses the ways in which applied research into the “image of the city” is related to “cultural heritage” of place and explain how so called “urban narratives” are formed, communicated and impact contemporary urban life. 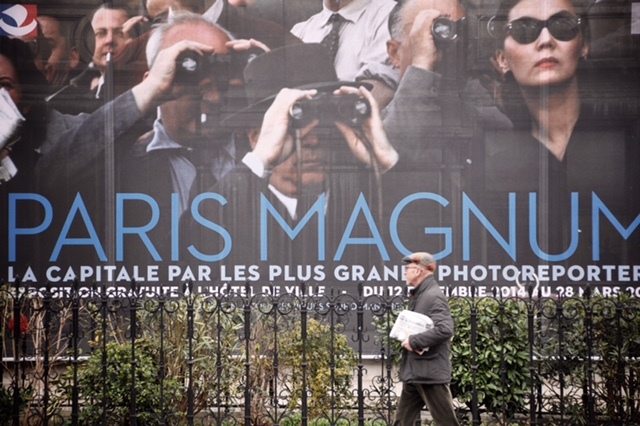 Particular emphasis is given to the difference between “heritage” and “legacy” and, in doing so, explore current phenomena, techniques and methods with which images/films are used in such a discourse. 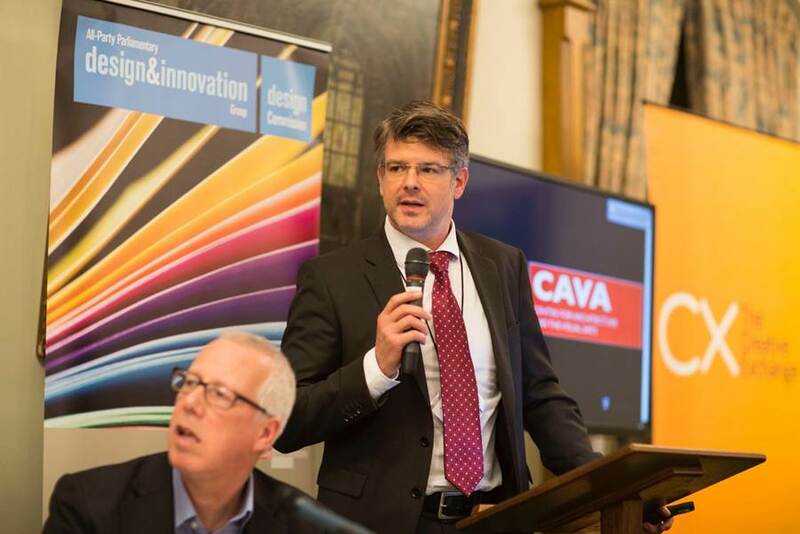 CAVA’s Open Planning app has been chosen as a best practice project by the All-Party Parliamentary Design and Innovation Group. Professor Richard Koeck, from the University of Liverpool’s Centre for Architecture and the Visual Arts (CAVA), part of the University’s School of Architecture, will present Open Planning: Rethinking the Urban Planning Process in the Digital Space at the House of Commons on Tuesday 24 November. The app, developed by Professor Koeck alongside partners in both the public and private sector, allows users instant access to the latest planning updates in a specified area, whether commercial or domestic. Professor Koeck said: “It’s most likely that the app would be issued by the local authority, in our case Liverpool City Council, and downloaded from an app store. As you walk through the city you would get notifications about any planning applications ongoing in that area. “You would then be provided with clear information and a link to the local authority’s planning portal, where all the information about the planning application is already held. “At the moment, you are relying on an on-street notification – something attached to a lamp-post for example – and the chances are that a lot of people are missing out on this information. “The advantage of this new approach is that you can pin point an area, say a radius around your home, and if a planning application comes up, whether commercial or domestic, you would be notified and be able to comment. “It’s a fantastic way to keep informed about what is going on around you in terms of planning, without having to go and find out yourself.” The app can also provide the same information using visual media or audio, an additional level of functionality that could be of particular use to the visually or hearing impaired. A working prototype has been developed following consultation with Liverpool City Council and community groups, and Professor Koeck now hopes to roll out a pilot scheme to test the system and ensure it is “transparent and robust”. The project is born out of The Creative Exchange, a collaboration between Professor Koeck and Erin Walsh; Lancaster University’s Professor Rachel Cooper and Lara Salinas; Liverpool City Council Planning Department, Liverpool Vision, Manchester company, Stardotstar and Lee Omar of Liverpool firm, Red Ninja. In the four years since The Creative Exchange was formed, 120 researchers in the arts and humanities have been united with 180 partners in industry, publicly-funded bodies and community groups to research and prototype innovative new products and experiences related to the emergence of a digital public space in the UK. Cities are often seen as 4D dimensional constructs, in which we as urban dwellers inhabit a blended environment made from architecture/space (3D) and movement/time (4th dimension). What if we were able to create a “velocity capture”, capable of deconstructing the natural union of space and time? What if we would be able to isolate and then attribute values to all those elements around us that are in movement and as such rip one dimension from a multi-dimensional fusion? How would we visualise, experience and understand urban situations in which static, built environment and architecture are entirely removed from our vision? CAVA is devising methods and techniques that will lead to answers to these and other questions. Richard Koeck, Monika Koeck and Niek Turner have started to experiment with 4K footage shot on Blackmagic at Lime Street Station. 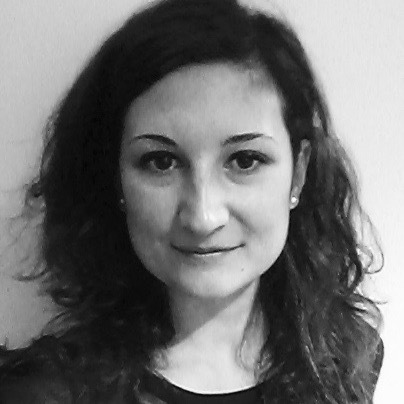 Dr Carla Molinari has been awarded the prestigious 2016 British Academy fellowship by the Accademia Nazionale dei Lincei in Rome. Her research project, "Greenaway and Montage" looks at the influence of Sergei M. Eisenstein in the work of Peter Greenaway and will take place in CAVA at the University of Liverpool under the supervision of Dr Marco Juliano. Her research focuses on the compositive method used by Peter Greenaway to create sequences of images in different arts - cinema, video art and painting - analysed through the theories of montage by Sergei M. Eisenstein. This very competitive fellowship is awarded yearly by the Accademia dei Lincei and supports researchers to spend several months in an UK research centre. The Accademia dei Lincei, based in Rome is the oldest scientific academy in the world, founded in 1603. As part of the Town Hall Talks series at Battersea Arts Centre, Dr Matthew Flintham will be discussing the cinematic heritage of Battersea and the Nine Elms area. He will begin by describing his role in the Cinematic Geographies of Battersea project, a research collaboration between Liverpool, Cambridge and Edinburgh Universities with the Survey of London. The project created a database of nearly 600 films shot entirely or partially within the municipal boundary of Battersea, and Matthew Flintham will show clips from and discuss some of the diverse feature films which have represented and misrepresented the area over the 20th century. 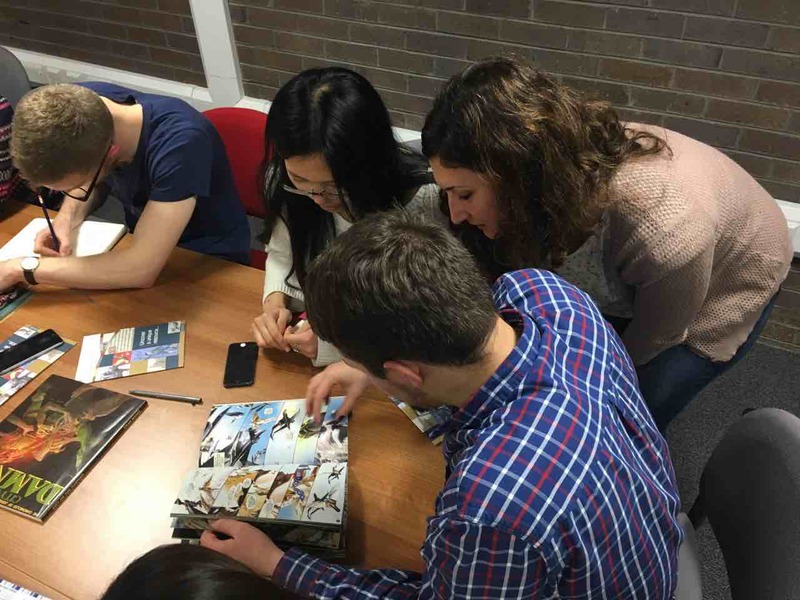 The Centre for Architecture and Visual Arts (CAVA) at the University of Liverpool in collaboration with Dessau Institute of Architecture (DIA) organised a 3-day workshop with the theme “Architecture and Comics”. Third year students from the Bachelors of Architecture at the University of Liverpool (Studio Two, lead by Marco Iuliano) and the Green Studio of the Masters of Arts in Architecture from DIA Dessau (lead by Karim Soliman) were joined to work together. The workshop was based on the science fiction material at the University of Liverpool Special Collections & Archives, which is considered one of the biggest sci-fi archives in Europe. Dr Kocaturk and Prof Koeck have been successful in winning a Knowledge Exchange grant with ARUP. The team will establish a new international research network, comprised of a wide geographical spread of cross-disciplinary expertise of world-leading partners in urban sustainability and urban resilience, that will bring together complimentary research, policy and technical knowledge. With a strong inter-sector focus, the purpose of the network will be to connect, expand, synthesise and consolidate emerging knowledge across academia and practice into developing alternative scenarios for the “resilient urban ecosystem” of the future and while doing so testing, measuring and comparing the social, technological and policy implications. On the night of the RIBA Stirling Awards 2015 – Dr Iuliano will present ‘Stirling Thinks’. The RIBA Stirling Prize is the UK’s most prestigious architecture prize. Every year it is presented to the architects of the building that has made the greatest contribution to the evolution of architecture in the past year. Drawing on original documentation – sketches, his own photographs and the iconic axonometrics – the lecture explores the creative process of James Stirling: from the early inspiration of Liverpool’s docks to his devotion to Le Corbusier, acknowledging the fundamental role of the partnerships with James Gowan and Michael Wilford. Stirling analyses the past through relentless observational skills and elaborates it as a source of creativity and as a context to respect. This most eccentric British architect leaves a legacy that is not confined to history alone, but continues to be paradigmatic for generations of architects to come. Prof Richard Koeck gives this year’s graduation keynote at the DIA Bauhaus in Dessau, Hochschule Anhalt. Now in its third year, the Liverpool School of Architecture operates a very successful exchange programme for students in our M.Arch programme. Set up by Professor Alfred Jacoby, Director of the DIA, and Prof Koeck this programme has since grown into a fruitful research and postgraduate collaboration between the Hochschule Anhalt and CAVA. CAVA wishes all graduating students from the DIA and Liverpool all the best for their future career. CAVA is a founding member of the summer school ‘The Culture of the City’, in its second edition, a collaboration between the University of Liverpool, the Università Politecnica delle Marche, the University of Cambridge as well as Scandinavian Universities. 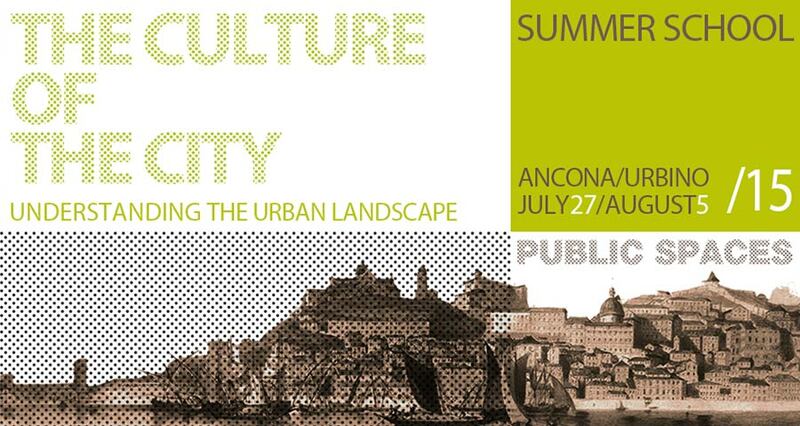 During a ten day period, twenty-three students from all over the world will discuss and understand the urban landscape of Ancona, before moving to Urbino to explore the rich Renaissance and contemporary heritage. Students’s projects and presentations will be assessed by a group of scholars with Dr Marco Iuliano representing the University of Liverpool. A keynote lecture on Humane Architecture will be held by Professor Klas Tham. 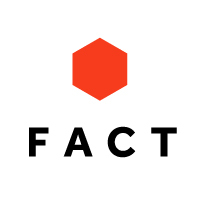 FACT is exhibiting Richard Koeck’s latest moving image work as part its Human Futures Forum in November 2015. 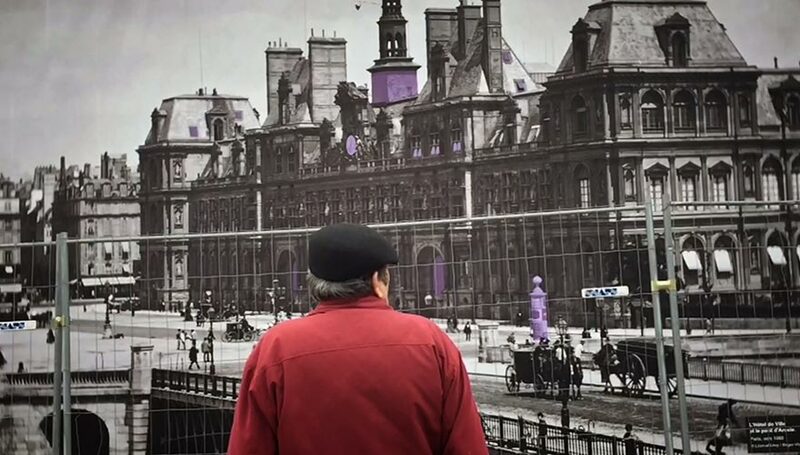 The exhibition shows two sets of observational digital short films entitled béton armé and écrans urbains, both shot in Paris in 2015. The trilogy béton armé features a (dis-)functional space entirely made from reinforced concrete with little signs of human presence. The films foreground the expression of materials, forms and functions over the presence of people in space and as such questions the relationship between the human body and infrastructure in the context of purpose-designed contemporary built environments. Contrasting this the trilogy of short films écrans urbains forms a set of simple observational movies, shot in such a way that passersby become protagonists in an urban narrative that in this case is dominated by a large urban screens made from historical archive photographs of the spaces that people transgress. 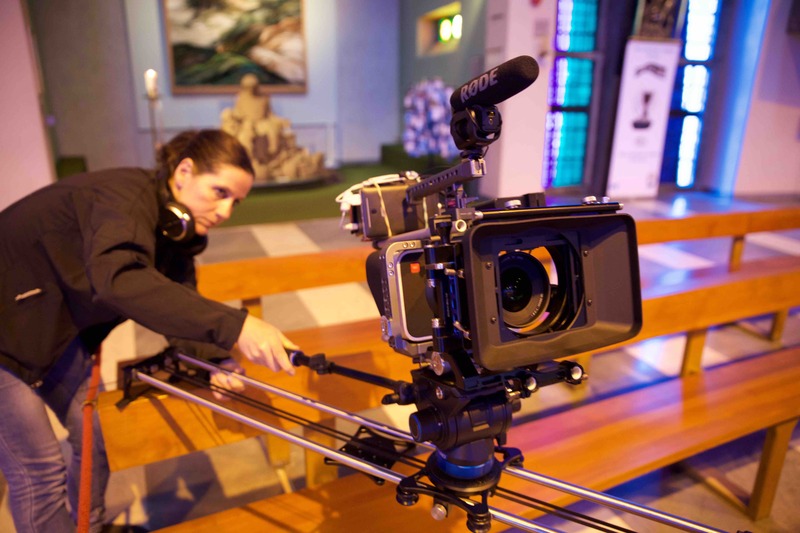 The low-resolution, unedited digital films are all shot on a mobile phone using slow-motion at 240 frames per second. CAVA and FACT are collaborating on a major conference, integrated with artistic installations, which seeks to increase our understanding of urban flow and its impact on humanity. As part of our next international conference – Libidinal Circuits: Scenes of Urban Innovation III, 8-10 July 2015 – FACTLab will show an exhibition in which Richard Koeck and Pooya Sanjari will present their interactive video installation Moment 2:45. Named after the method that underpinned the filmmaking, Moment 2:45 offers simultaneous vantage points of Liverpool “urban circuits” from 20 different locations. For FACT’s exhibition, Koeck and Sanjari propose that these films, shot on mobile phones, are assembled into a single video installation (simultaneously playing all films) in which gallery visitors have the opportunity to zoom into each of the movies and to explore each of these micro-urban narratives at great detail. 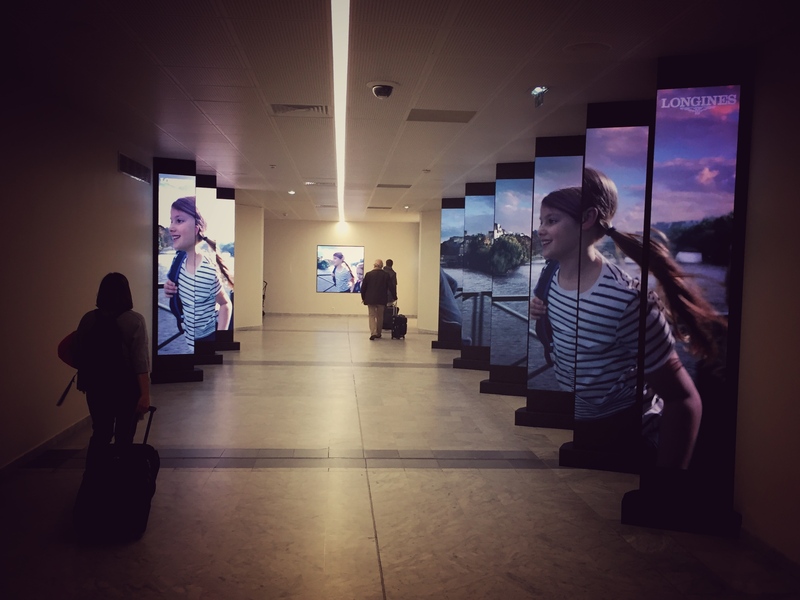 The installation consists of a digital screen, a mechanical moving aperture and a magnifying lens on sliders. PhD Studentship: AHRC Collaborative Doctoral Award: Fully-funded Studentship in ARCHITECTURE and URBAN ADVERTISING. 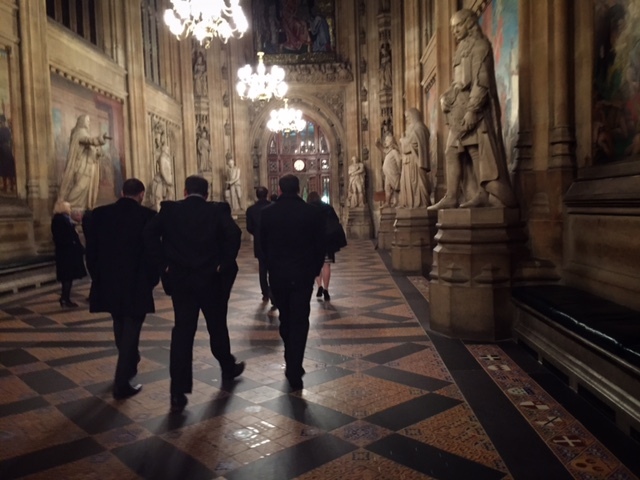 Closing date for receipt of applications: Friday, 26th Jun 2015 17:00 BST Interviews are planned to take place in the second week of July 2015, commencing Monday 6 July 2015. We are seeking to appoint a PhD student with a qualification in Architecture, Urban Design, Interaction Design, or related discipline who wishes to purse a doctoral study on the topic of the ‘hybridisation’ of architecture/cities; on the question how advertising can function within a network of smart agents, such as buildings and surfaces which are increasingly networked and further, how digital advertising content can be embedded and accessed in meaningful and appropriate ways, using the physical built environment as an interface. The student will work with CAVA and McCann Manchester on new concepts and has the opportunity to collaborate with the Virtual Engineering Centre for immersive visualisation, simulation and testing. The minimum requirement is a first degree (First or Upper Second) in architecture, urban design, interactive design or related discipline with an interest/expertise in marketing and/or digital media and creative technologies. To apply, please complete the studentship applications form and submit to sotaops@liv.ac.uk by no later than 5pm on Friday 19 June 2015. For more information visit the University of Liverpool vacancies page. Stipend: At least £14,057 per annum for four years. In addition, the PhD registration fees for the Home or EU students will be paid for the entire period. Additional support for travel costs will be provided. In search of new talents, the 4th SCOPIO international photography contest focused on crossing borders and shifting boundaries, emphasising Photography as a questioning medium for Architecture. The panel conferred awards to the projects ‘Shangri- La’ (Alnis Stakle, winner), ‘Reconstruction’ (Tahir Ün, mention) and ‘Borderland’ (Jiehao Su, mention). The exhibition will open at the University of Liverpool in London, following a lecture on Chinese Cities by Stephanie Hemelryk Donald, Head of Liverpool’s School of the Arts. The roundtable at the RIBA will address the themes that emerged in the competition, via a discussion between Valeria Carullo, Pedro Gadanho, Marco Iuliano and the winner, Alnis Stakle. Chaired by Pedro Leão Neto, the event will be marked by the release of a special edition of SCOPIO magazine – Crossing Borders and Shifting Boundaries: Architecture and its ADDENDUM, a joint publication, which will feature the awarded entries of the photographic competition. The Centre for Architecture and Visual Arts (CAVA), the School of the Arts, University of Liverpool, the Foundation for Art and Creative Technology (FACT) and the Culture of Cities Centre are delighted to be collaborating for the Libidinal Circuits conference here in Liverpool in July 2015. We have an exceptionally diverse, truly interdisciplinary set of speakers and artists lined up. Thank you so much for all of your enthusiasm about the day and for submitting such fascinating-sounding papers. We can’t wait to hear them. By registering, you have access to three-days of events, from the 8th-10th July in both FACT and the School of The Arts at the University of Liverpool. The fee includes lunch and refreshments throughout the day. If you have any special dietary requirements, please email me directly to let me know. There will also be an evening conference meal on the evening of the 9th July, which I will be in touch with you about shortly but which is not included in the registration fee. Additionally, we are really excited to be working with RIBA to offer delegates the option of an architectural tour (or should that be Libidinal Circuit) of Liverpool on the morning of the 8th July. Again this is not included in the registration fee but there is an option of buying tickets for this on the Eventbrite website. CAVA is pleased to announce that Aneta Krzemien Barkley, one of CAVA researchers, has just been awarded her PhD. Aneta’s PhD entitled ‘Contemporary models of curatorial and institutional praxis: a study of the Foundation for Art and Creative Technology (FACT)’, examines different approaches and models of working of curators and institutions while debating wider socio-political and economic aspects of contemporary cultural production and management. The PhD is a result of a collaborative research conducted at CAVA and FACT (funded by the AHRC), which included an intense period of practical involvement in FACT’s operations. his workshop is using mobile phones to expose you to a short narrative space experiment that we call ‘sketching with a camera’. 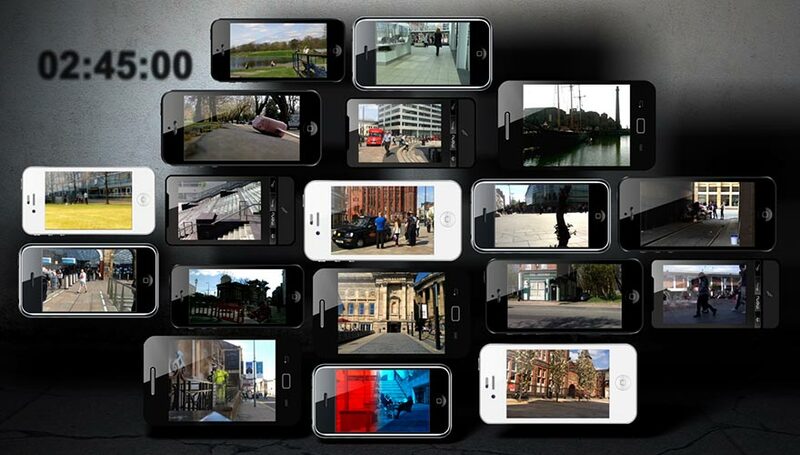 Held in conjunction with the Libidinal Circuits conference in Liverpool (www.cultureofcities.com) and an accompanying exhibition at FACT, students learned how movies produced by mobile phones could be used to identify, explore and meaningfully express urban phenomena. The workshop is lead by Richard Koeck and Pooya Sanjari as well as our visitor from Nanjing University Prof Andong Lu. We are pleased to announce that CAVA won an AHRC collaborative doctoral award with leading advertising agency McCann Manchester and the Virtual Engineering Centre in Daresbury. The first of three fully-funded PhD studentships will be advertised shortly. With digital technologies radically changing urban outdoor advertising in the UK and globally, through hybrid, responsive, individualised media, there is significant opportunity and pressing need to engage in leading, cross-disciplinary arts and humanities research in relation to the above-described areas. Further exciting announcements will follow.